Heartly House provides individual and group counseling services to primary and secondary survivors, both children and adults. Our services are confidential and free. Our Clinical Director, Kimberly Waibogha, received her BSW and MSW from West Virginia University. Ms. Waibogha is a licensed clinical social worker in the state of Maryland. Ms. Waibogha has almost twenty-five years post master experience providing social work. She began her social work career in medical social work, and has since provided maternal-child services, clinical social work and teaching in academia. 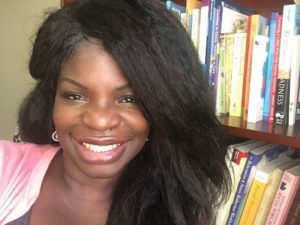 She has provided clinical social work in the in-home setting, inpatient setting, partial inpatient setting and outpatient setting, Ms. Waibogha has experience working with trauma survivors, addictions, adult, child, and clients diagnosed with psychosis. Ms Waibogha holds a Trauma Certificate in Advanced Trauma Treatment from the Advanced Psychotherapy Training and Education and a Sand Tray Therapy Certificate from the Canadian Association of Play Therapists. Ms Waibogha is currently pursuing her doctorate in Social Work from Rutgers University, and is scheduled to graduate in May of 2019. Counselors at Heartly House are licensed clinicians. The counseling department also offers learning experiences for masters level counseling and social work students. Interns are supervised by experienced clinicians and are required to go through a thorough training in order to provide quality services to Heartly House clients. Click through tabs to find more information about each support group! An open and ongoing group for women. Women who have experienced intimate partner abuse (also referred to as domestic violence) can drop in as needed (after initial phone intake) or come weekly, depending on their needs. Both daytime and evening groups are held weekly. For individuals who have experienced intimate partner abuse and/or sexual assault or sexual abuse. This group addresses trauma recovery, healing, and empowerment. It also includes education about intimate partner abuse and sexual assault. A 10-15 week closed group offered in partnership with the Child Advocacy Center (CAC) of Frederick County that is held periodically throughout the year. Typically offered in the early evening, this group serves families who have experienced domestic violence, child abuse and/or sexual assault of a family member. The goal of the group is to strengthen intrafamilial relations through recognizing the trauma that has occurred and identifying coping skills going forward in their lives. An open group for women who have experienced any type of sexual assault or sexual abuse. The psychoeducational curriculum is a part of the Sanctuary Model and focuses on Safety, Emotions, Loss, and Future. An open and ongoing group for LGBTQ+ survivors of sexual assault. This group is currently held in the evening. Please call Heartly House for details. A new group for adults who are interested in using yoga for self-care in their healing journey. This group will be facilitated by certified trauma-sensitive yoga instructors. Available for children and teens that have either witnessed domestic violence or have been abused or sexually assaulted. These groups are held at varying times and generally last six weeks. Call Heartly House at 301-662-8800 for information about individual or group counseling.